The decision in October by the Association of Occupational Health Nurse Practitioners (AOHNP) to merge with the Faculty of Occupational Health Nursing raises many questions. Nic Paton canvasses views from those closely involved in developing the new body. 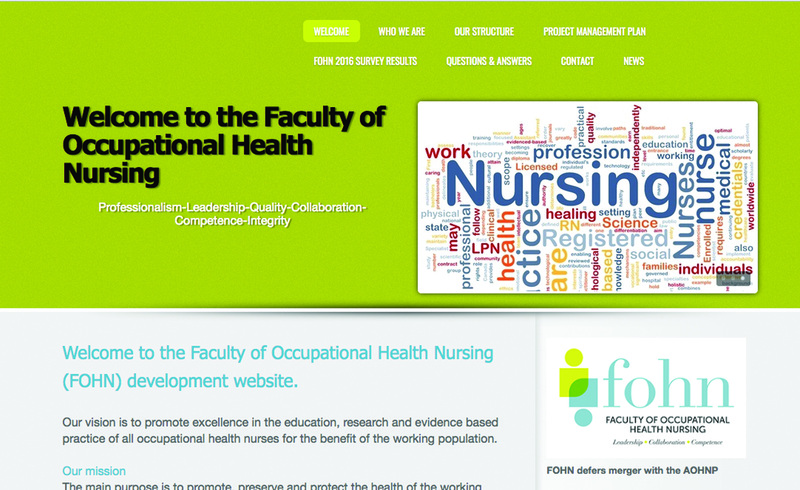 The decision by members of the Association of Occupational Health Nurse Practitioners (AOHNP) to nearly unanimously back a merger with the Faculty of Occupational Health Nursing (FOHN), which launches in October 2018, has the potential to be a game-changer for occupational health. While there is much fine detail still to be agreed, the combining of the two bodies presents an opportunity for occupational health nurses to engage in dialogue with government, the Nursing and Midwifery Council, employers, universities and, indeed, to the general public at large, with a much more powerful, authoritative, united and single voice. The move is in some ways the result of the failure to create a single organisation for occupational health led by OH doctors. In September 2014 the Faculty and Society of Occupational Medicine (SOM) failed to gain the necessary two-thirds majority vote required from members to create a single organisation for occupational health. Scroll forward three years and although, to their credit, SOM and FOM have continued to move closer together as organisations, it is OH nurses who are now leading the charge when it comes to creating a powerful combined advocacy, best practice, education and lobbying voice for the profession. What next for the merged body for OH nurses? 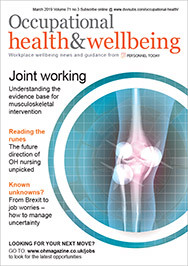 So, what has been agreed, what will a combined body look like (and cost to join), what happens next, and what does this mean for occupational health nurses? First, then, what has been agreed? A survey of AOHNP members was carried out in the summer and the results were revealed at the association’s annual general meeting on Friday 6 October. This concluded that, out of 172 responses, 95% backed the proposed merger. Kenyon, owner of OH consultancy Workability Solutions, took over as president of the association from Diane Romano-Woodward (director of OH provider Sunny Blue Sky) at the AGM, and her term will run for the next two years. So, secondly, what happens next? What does this actually mean for occupational health nurses, whether or not already members of the AOHNP? What will a combined body look and feel like? “What we definitely do not want to do is lose all the good work that has been done by the AOHNP over the years. For example, the AOHNP will be keeping the same name for the time being. We want people to continue to recognise the fantastic work that it does,” emphasises Butterworth. “It will be a like a ‘hub and spoke’ model, with the faculty being the hub. The faculty will be the body that sets standards, including national standards, for professional practice and education. The association will then support that with all of the day-to-day services it is really good at – CPD, events, member support, social media, and so on. “The next stage is to pull together a transition plan and work out a reasonable way forward. One thing that is clear is that, in terms of membership, people will not have to sign up and pay for membership of each organisation; it will be a single membership that covers both,” she adds. Kenyon agrees. “The merger will enable us to grow and extend our proposition. We’re looking at a range of health-related benefits that similar groups and associations offer, so it could be things like member legal support, indemnity insurance, access to online journals and databases, and so on,” she says. 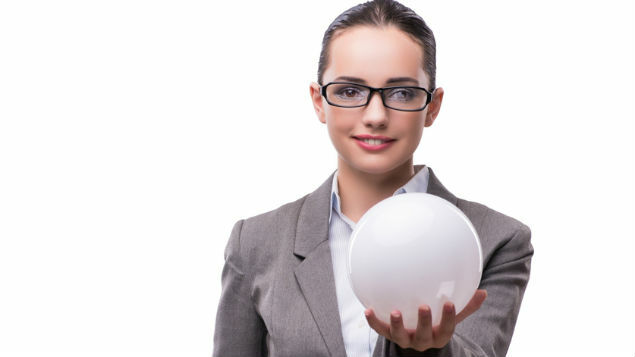 “We’re already speaking to a number of bodies – insurance brokers and underwriters, for example – to gauge what a basic indemnity insurance offer could look like,” she adds. AOHNP membership currently starts at £20 for student, retired, maternity or unwaged membership, rising to £55 for “associate” membership and £66 for UK registered nurses with an occupational health qualification. Given Butterworth’s comment about a single membership for both bodies, how can nurses expect this to change? “Additional functions and services will lead to additional fees, however we’re looking to benchmark against other similar organisations,” Kenyon concedes. How will OH nurses benefit? Either way, the benefits – the payback – will be compelling, she emphasises, as AOHNP members have already shown in the way they voted. “The AOHNP will, in essence, be the membership arm of the faculty. So, OH nurses will be able to speak with a single voice to organisations such as the NMC, especially on things such as how to improve the way occupational health is managed through the professional register,” Kenyon argues. “The fact the register is under review means this process is very timely; we are in a position to lead how occupational health as a profession can be taken forward, especially around how education and training are run and validated,” she adds. “I think it is brilliant because the AOHNP is currently the only specialist OHN group after the Royal College of Nursing’s Society of Occupational Health Nursing and Occupational Health Managers’ Forum withered away and was replaced by its Public Health Forum, which is not exclusively for OHNs,” agrees Anne Harris, course director for occupational health nursing at London South Bank University. “The AOHNP is in a prime position to attract more members. The AOHNP will do the nitty gritty of member support, and the FOHN will lead on the education and research side. I imagine there will be different tiers of membership, such as fellow and then perhaps associate or principal fellow; there are many different models they could consider. “It is another step in encouraging the Government and the NMC to listen to OH nurses, to take occupational health nurses, and occupational health generally, more seriously. Having the faculty and the AOHNP working together as a single organisation will create a powerful body,” she adds. “We would support the merger and want to work closely with the new merged body,” echoes Nick Pahl, SOM chief executive, although stressing that nurses will still be welcome to become or remain part of SOM. “We hope nurses will still value joining SOM, not only for our specific occupational health nursing insurance offer, but also as a place where nurses can collaborate with other occupational health professionals, such as doctors, occupational health physiotherapists and psychologists,” he says. In fact, Pahl and SOM president Dr Paul Williams have already held meetings with representatives of the FOHN and AOHNP. 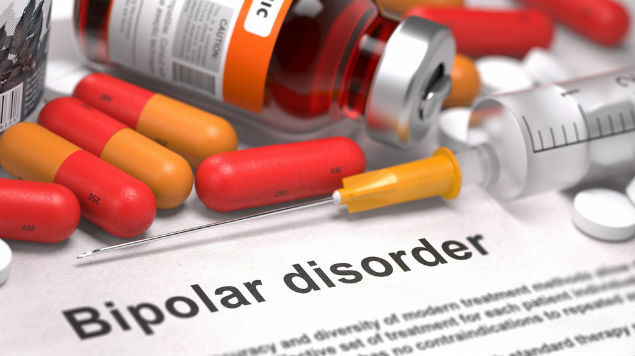 “We agreed we should work together to ensure SOM with FOHN and AOHNP create a stronger joint voice for the occupational health community,” Pahl says. For example, nurse training and education is likely to be a key area where there could be significant collaboration between the nurse and doctor bodies, especially around lobbying and advocacy. As Pahl explains: “SOM shares concerns with FOHN and AOHNP that there needs to be assurance that nurse training courses which have an OH component to them educate to an adequate competency. Related to this, we all need to respond to a planned NMC consultation on the future of post-registration qualification. “We are also concerned that there should be an adequate number of well-trained practice teachers, and want to ensure there are placements for trainees that can be accessed in an equitable fashion. “Finally, we all have concerns about funding for occupational health nurses (with the removal of scholarships), which hopefully can be filled by apprenticeships. This is something the National School of Occupational health is taking forward,” he says. But the overarching message, naturally, is about nurses; about the role, influence and, for want of a better word, clout that this new merged body will be able to bring to the table. “What we are very clear about is that we want to work to enhance the reputation of occupational health nursing through setting standards and training that meets the needs of OHNs and their employers,” emphasises Kenyon. 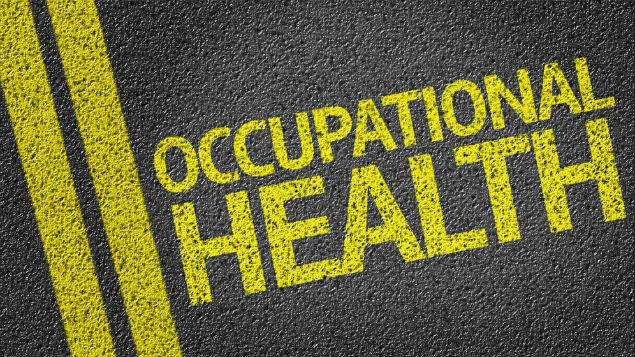 “It is about making sure the voice of occupational health generally is heard, about making sure that employers get the competent support they need to support their employees.